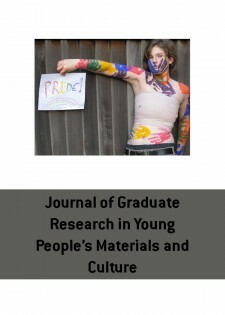 The Journal of Graduate Research in Young People’s Materials and Culture (JGR) is a peer-reviewed open-access e-journal publishing graduate student research in the areas of children’s and young adult literature, childhood studies, and cultural studies related to children and young people. This journal aims to be a venue for presenting the work of new and emerging scholars in the children’s and young adult literature fields. The published papers, both academic and creative in nature, will cover many topics related to children’s and young adult literature and related topics in popular culture and new media. The first official issue of JGR will be published in Fall 2013.